Wow! 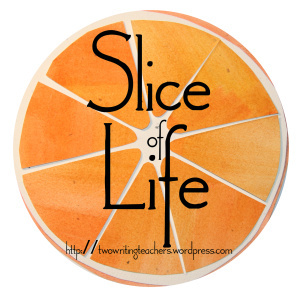 Another March, another Slice of Life Challenge! Thanks so much to the entire crew at Two Writing Teachers for organizing and hosting this massive event! You are all rock stars! I'm excited to be part of the Challenge again this year. As I continue to tap into "joy" as the motivation for my writing, I am also tracking the territories about which I tend to write (and sometimes intertwine). Current writing territories are teaching, family, friends, travel. Today is a new writing territory for me I'm beginning to explore -- working with a personal trainer. I love my time with my personal trainer, Tami. Though I did tell her recently, if we only did the 'stuff' I truly enjoy, we could be done in about 10 - 15 minutes as opposed to the 75 minutes of our typical session. After her initial burst of laughter, Tami told me she considered that comment a compliment, and was a good indicator she was really doing her job. In all seriousness, I know that to be a stronger, more fit person, I will have to do some things that are uncomfortable along the way, as some of my muscles have not had a really good workout in years. For most workouts, the training is arduous at times, but two weeks ago, everything I was asked to do really just flowed. I was able to attack each repetition with arms, legs, and core muscles with power and energy. More weight was added and more repetitions were accomplished. My workout was lifted to a new level. "I love the strength you are showing today, Karen. I always know when someone is having a breakthrough workout when working with them really makes me want to attack my own workout." What powerful words to say to someone trying hard to achieve some personal health goals, and that statement has stuck with me. In fact, I have actually considered Tami's words in my job as a literacy coach. Once in a while, when it is the move that would help scaffold learning and instruction, I will take colleagues to visit some of the collaborative classrooms in our district. The visits allow us to observe workshop components, conferring and questioning practices, formative assessment, the community of the classroom, and much more. Since Tami spoke those words to me, I have facilitated two classroom visitations with different groups of colleagues. On both occasions, I experienced the same emotion Tami mentioned after watching these reflective teachers at work with their community of students. In both instances, I left wanting to jump back in the classroom and try some of the things I had observed with my own students. The reality is that I do not have my own classroom, however the feeling of wanting to try out some new learning and reflecting was strong. Tami is right - when there is a 'breakthrough session', whether in personal training or a reading workshop visitation, it leaves you with a strong craving to reproduce the same thing. Karen, I loved your post today. Of course, my connection to it was strong. I have a wonderful trainer who knows just when to push me to a new level. I love the nudge he gives me. I love the confidence he has in me. His words are always so encouraging. I am sure your sessions with teachers are the same...nudging, pushing, encouraging. Love this connection. So true --- she also embraced hard work and respect for growth in her comment. It is not about achieving but about the work in progress. Propels you to keep working. Thanks for the connection. That's a wonderful connection Karen - we need people nudging us forward all the time. Before I even got to your coaching connection I was thinking about it! I know just those moments you're referring to...and it's SO energizing! Love the connection you've made. It all comes around to our work, doesn't it? Congratulations for starting this path of getting more fit. how great that is. I love the connection you've made here! I know just the feeling you're describing. Catching energy from someone else can be such a blessing. Thanks for a thoughtful post! I always enjoy the connection you make between life and teaching. The phrase, I love the strength you are showing here today - strength is needed each day. Thanks for sharing another thoughtful piece.